Janelle In Real Life: gift guide & gorgeous jewelry. 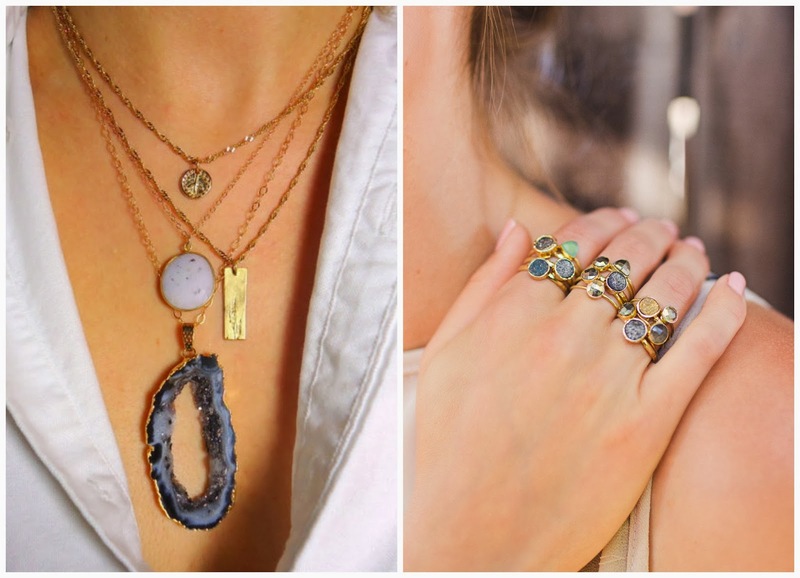 gift guide & gorgeous jewelry. Happy Monday friends! It's that time of year... Christmas present buying time. This is the week that I will get most of my Christmas shopping done, because shipping takes a little longer during the holiday season and I want to make sure that everything gets here before we take off to Alabama for the holidays! If you're still trying to figure out some Christmas gifts for family or friends, I have a great option to share with you guys. This arrowhead necklace was sent to me by an amazing company based in San Francisco called Waffles & Honey. You guys, the quality of their jewelry is amazing! It is all handmade using 14 karat gold & semiprecious stones. 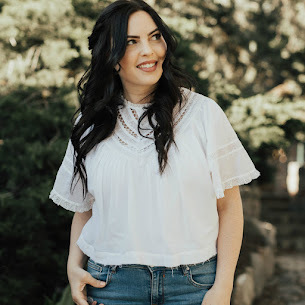 I'm genuinely in love with their jewelry and want to share a little holiday gift guide for you all! These necklaces are so gorgeous and really make a statement. The raw cut stones are very on trend right now and will be perfect for the girl who likes to be in style! The best part is that all of the necklaces layer super well (and personally I love the layered necklace look). Waffles & Honey also carries rings and earrings and I'm actually a little obsessed with their stacking rings. 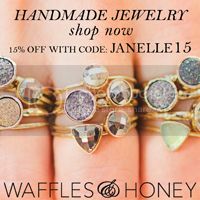 And if you need another incentive to check out their site, Waffles & Honey is offering 15% off to all you readers! I'm not gonna lie, I'll probably be picking up a few pieces with the coupon... maybe for myself, maybe for some gifts! Just use the code Janelle15 at checkout to get the discount. I absolutely love those necklaces, definitely saving this link for when I start holiday shopping. Gorgeous necklaces!! I love everything in your "trendsetter" category & your arrowhead one is perfect. Do you have family in Alabama?! That's where my Dad commutes for work right now so he kind of half-lives there and my family is probably going to move there next summer. The trendsetter ones are my favorite! My hubby is from Alabama and his whole family lives there! They're in north Alabama in the Hunstville area. What part of Alabama is your family moving to?! These necklaces are so cute! I love the wishbone necklace! I know, right? I love that wishbone necklace! So simple but so pretty. love the wishbone & i'm so into the raw cut stones! i'll def look into this store for presents this holiday season. I'm obsessing over the raw cut gemstones lately! Such a pretty statement. Stopping by from Totally posted Tuesday! Love all these pieces, I'm a huge statement necklace fan. I think I need that wishbone one! Love your jewelry and look. you look very relaxed and comfy while still looking very nice! Great items, Janelle. You are so poised in all of your photos. Great work. Love the jewelry gift guide. I have been looking for a lot of these items!